The Wii U, after being left behind for so long in many respects, is starting to build considerable momentum with the collection of indie games on the eShop (as often reported by Boots). Often these games have existed on another platform previously, but this does not necessarily make these titles any less impressive. For instance, it was only research that led me to discover Nihilumbra and, by the time I discovered it, I heard it was coming to Wii U. 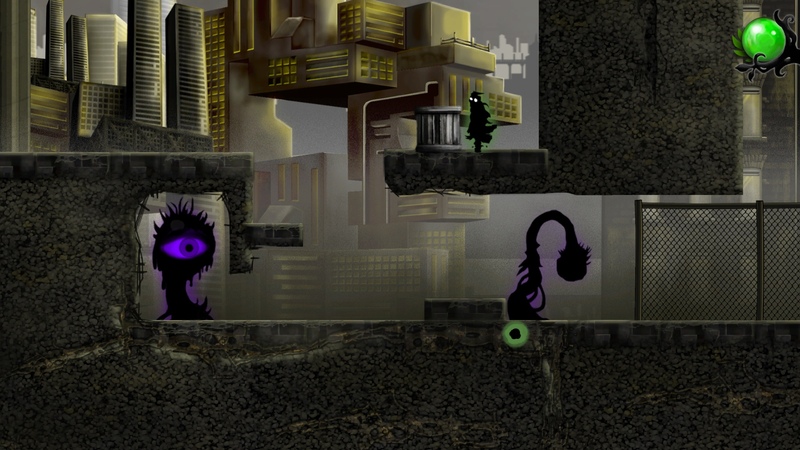 The story of Nihilumbra is wonderfully simple; the player-character is a simple black and white creature that has escaped from the Void. Despite the creature being part of the Void itself, it developed its own intelligence and chose to break away. The story then follows the creature trying to live, with the Void both trying to catch it and sending creatures to kill it. The entire story of the creatures escape and redemption is told by an omniscient narrator as the player progresses, allowing the narrative to unfold in a wonderfully paced way that naturally slows or quickens with the speed of the player. However, that would all be very boring if that was all there was to the game and that is where some of the most interesting gameplay I have found comes into play. 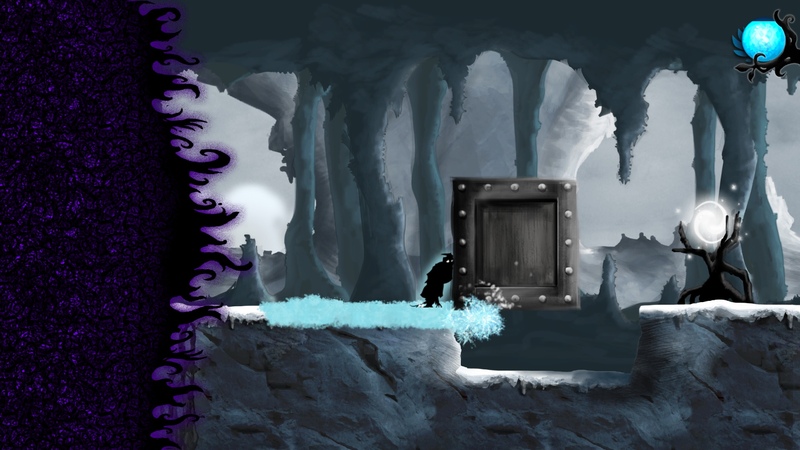 The creature, in their escape from the Void, discovers different colours that allow for different abilities and routes through the levels. For instance, the first colour is Blue and makes surfaces slippery, allowing for a greater jump distance and for heavy blocks to be moved along the ground. What unfolds then, across the varied levels, is a series of puzzles that need to be solved using the colours at your disposal. Some of these are easy, such as sliding a box onto a switch, but the later levels require the player to combine multiple colours either simultaneously or in quick succession. The game itself is split into two parts; the first half contains puzzles that, for the most part, only require one or two colours to solve. But the second part is essentially the hard mode, as mentioned above, and really tests not only the player’s mind but their reflexes too. Add to the two modes a large “Achievements” list and a considerable amount of concept artwork to unlock; you have a rather large amount of content for a standard indie title. 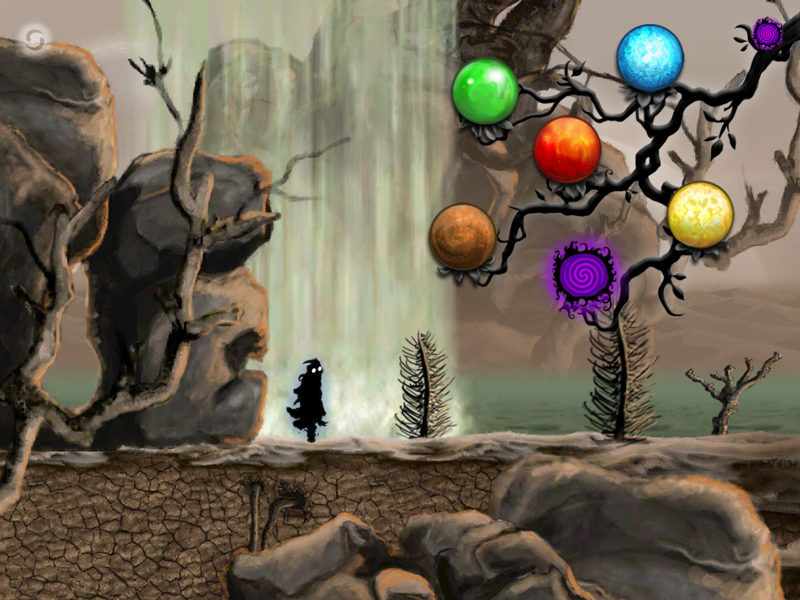 Nihilumbra is a beautiful game; very simply designed, but with stunningly illustrated and detailed settings for each of the levels. Right from the beginning, the game looks fantastic on both the main TV and on the GamePad screen; the great thing about the simplicity of the game’s design, none of the beauty is lost by the step down to the GamePad. The music also falls into the same area as being simple but incredibly beautiful. The soundtrack, although only a few tracks long, is simply breath-taking and has become something that I have actually begun listening to casually (the Living Woods music is most definitely my favourite at the moment, check it out on Youtube). All in all, Nihilumbra is most definitely worth the money. It’s challenging, beautiful, and wonderfully made. But should you buy it? If you like puzzle games, or games that are a little different (or dark in theme), this is for you. If you aren’t a fan of indie titles, this will likely not be for you. The stripped back nature and simplicity would put off those that like a bit more spectacle; however, if you give it a chance Nihilumbra is a fantastic game. Have you played the game? If so, what do you think of it? Drop a comment on this article, or tweet me @reuthegamer. Finally, thank you so much to Beautifun Games for kindly giving us a review code for this game.